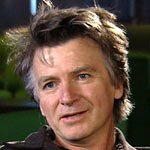 Neil Finn will perform at the So They Can Annual Sydney Dinner and Fundraiser next week. Neil and Sharon Finn are ambassadors for So They Can, a non-profit organisation that works with communities in Africa in need; empowering people to become self-sufficient and meet their own needs via education and community and economic development. The event takes place at 7:30pm on Friday, October 23, at the Grand Ballroom, The Westin Sydney, 1 Martin Place, Sydney. Enjoy pre-dinner drinks and canapés, a delicious dinner with premium wines and an exclusive performance by Neil Finn followed by DJ & Dancing! Tickets: $250. Please book here.